A few days ago, Byron York passed on a fascinating bit of reportage from inside the Mitt Romney campaign: “Romney aides believe strongly that this race will play out like the 1980 campaign, in which President Jimmy Carter led Ronald Reagan for much of the race until Reagan broke through just before the election.” The hopeful precedent here is that a Democratic president in a lousy economy hung tough in the polls through most of the summer before collapsing at the end as a Republican challenger allayed doubts about his suitability. It’s not a useful precedent. 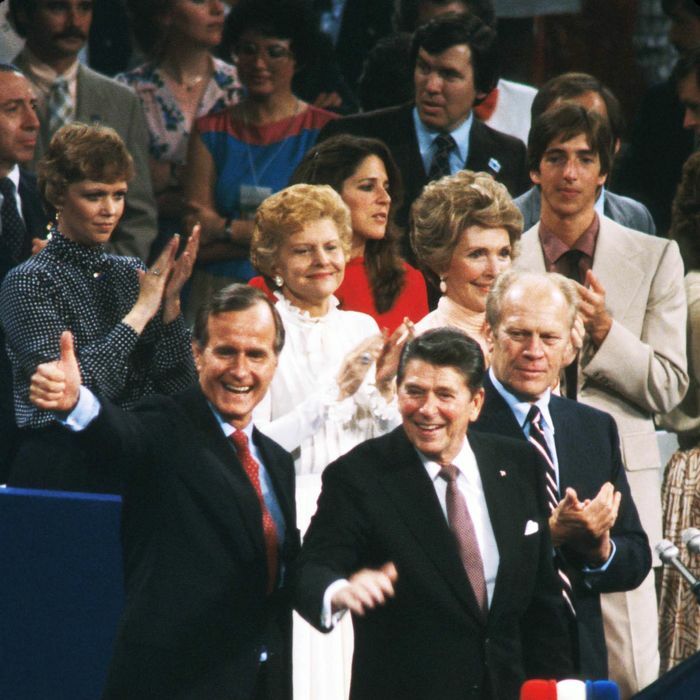 By 1980, Carter had completely split his party, having alienated liberals (in part by abandoning health-care reform) and provoking a long, bitter primary challenge from Ted Kennedy. On top of that, the economy cratered (nothing remotely comparable has occurred this year) and then the Iranian hostage crisis, after an initial rally-around-the-flag blip, steadily corroded Carter’s popularity. No equivalent of those factors can be seen yet today, and pinning your hopes on a scenario where your campaign suddenly picks up ten points in the final month seems to be either an act of self-delusion or (as Ed Kilgore suspects) a ploy to keep anxious conservatives at bay. There’s really one way to tell whether Romney actually believes the 1980 story, or is merely using it to keep his party calm: the vice-presidential choice. In May, the word from Boston had it that Romney wanted to pick an “incredibly boring white guy.” There was no apparent need to add to the ticket in any important way. The sole qualification was to avoid detracting from it, as Palin did. IBWG picks include Rob Portman, Tim Pawlenty, or Bob McDonnell. Reagan himself (or, in deference to conservative sensibilities, Reagan Himself) selected George Bush, who was not only the paradigmatic IBWG but recently pro-choice and a fierce critic of supply-side economics. Of course, when conservatives urge Romney to emulate Reagan, they don’t want him to emulate the great leader in this particular regard. They want him to pick a ticketmate whom they can more plausibly cast as Reaganesque himself.